We do have available to us the Thankful Baptist Church’s parking lot, which is directly across the train tracks from the event located at 830 College Avenue. All vendors MUST park there after unloading their goods. We ask that unless you have a physical restriction to please park in this lot. There is curbside parking on W. Howard Ave. ONLY on the side of the Atlanta Friends Meeting Hall NOT on the opposite side of the street. If you do you will be towed. If parking on any side streets make sure you are not blocking driveways, fire hydrants, intersections…again you will be towed. There will be handicap parking available at the Atlanta Friends Meeting Hall parking lot as well as some extra parking for festival attendees. The first entrance, next to the meeting hall, will be blocked so you will have to go to the next entrance down. Event interest forms are up and active. We are a free event to the public and so we rely on volunteers to keep things running. We have a special need for early risers who would like to help with set up and for those who are willing to stay until the last corner is swept and the chairs are all positioned correctly. We also have need for folks to help flag arriving cars of attendees away from the vendors and toward parking options. We will be having a couple of short work sessions leading up to the event to get things ready and to get volunteer positions planned out. Would you like to volunteer? We are primarily an educational event. Many people come to learn about traditions, paths, faiths, and practices. If you would like to offer a class, activity, or discussion, please let us know. If you are interested in a Booth, table, or reading space, please follow the think to let us know of your interest. The events of the day are coming together nicely. You can read about our confirmed entertainers, classes, vendors, informational tables, etc. on our main website. I do still have something groovy brewing up in my witchy cauldron which I hope will be ready for announcing really soon!!! This weekend’s call is for shares to friends, acquaintances or groups who may not have heard of Atlanta Pagan Pride Day. Every year it seems that I hear from people, just after the event, who are just finding out about it for the first time. I also hear and see postings from groups of pagan folks who felt unrepresented or under represented at Pride Day. So, if you know of folks from a tradition, faith, path, practice, group, coven, grove, student group, etc. who may not have gotten the word, let’s make sure they know that all are invited who are willing to come and share in the day in a positive way! There are still informational table and vending booth slots available. 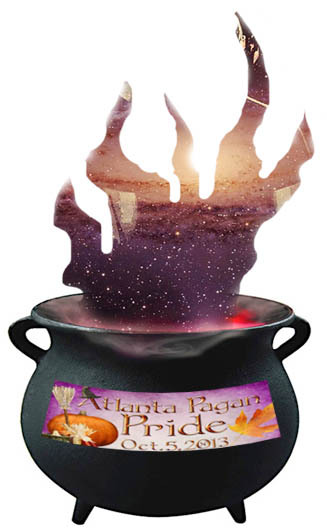 Find the interest form on our website www.atlantapaganpride.org Someone will contact you back about registering. 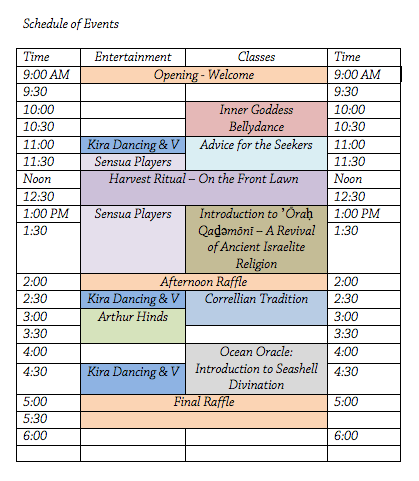 I am excited about some of our new performers, class presenters, and vendors. This weekend we are hoping to reach 1000 likes on Facebook. A little while ago we were just a witchy 13 likes away from our weekend goal. Now we are 6 away 🙂 Come and “like” us if you have not already.